Before we know it we will be thinking about all those yummy comfort foods to warm us up in the cold of the winter. I love the comfort foods, but I am not looking forward to the cold weather. With all this talk about time going by so quickly, I thought it would be good to get to the recipe that I am featuring in this post. 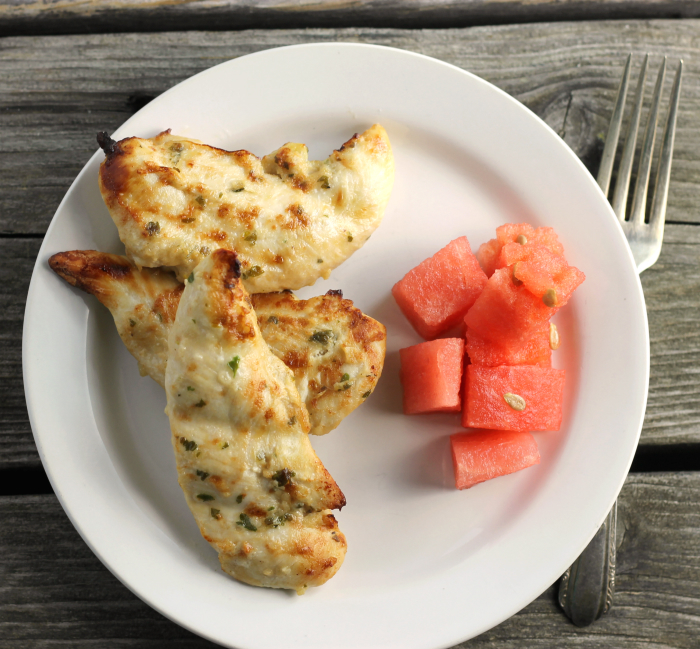 This is a simple recipe that is made with a simple marinade. I love the combination of soy sauce and chicken. But this marinade has a few more ingredients than that. This marinade has some canola oil, lemon juice, garlic, onion, oregano, parsley, and soy sauce. These are simple things that you probably have in your pantry right at this minute. To keep this recipe super simple, buy the chicken breast that is already cut into chicken tenders. Combine all of these ingredients together into a zip lock bag, add your chicken, and put it into the refrigerator for the day or at least several hours and then put under the broiler. See how simple this is. 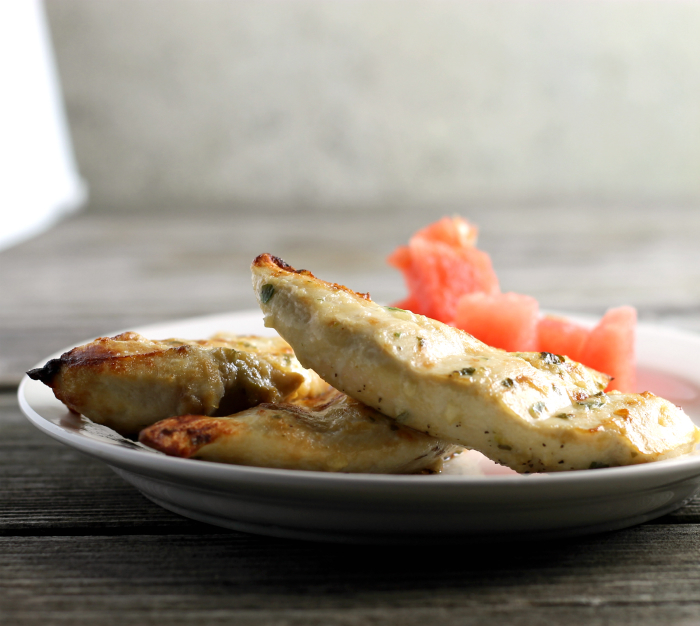 Serve these simple broiled chicken tenders with rice or maybe a nice salad and you are set for a tasty meal. Oh, I actually ate some of the leftover chicken, cold in a salad during the work week. Place the canola oil, lemon juice, soy sauce, garlic, onion, oregano, and parsley into a zip lock bag and combine. Place the chicken in the bag and coat the chicken with the marinade. Place in the refrigerator for several hours or more. Turning the bag a few times during that time. Spray the broiler pan with a non-stick cooking spray. Place the chicken tenders on the pan. Season with salt and pepper to taste. Place the chicken under the broiler until the chicken has browned. Once the chicken is lightly browned remove it from the oven, baste it with the remaining marinade and flip over. Continue to broil until the chicken is no longer pink inside. Broil for 10 minutes, turn and baste with remaining sauce. Broil for another 5 minutes. Dawn these chicken tenders look delicious !!! Simple but delicious and healthy, Dawn. 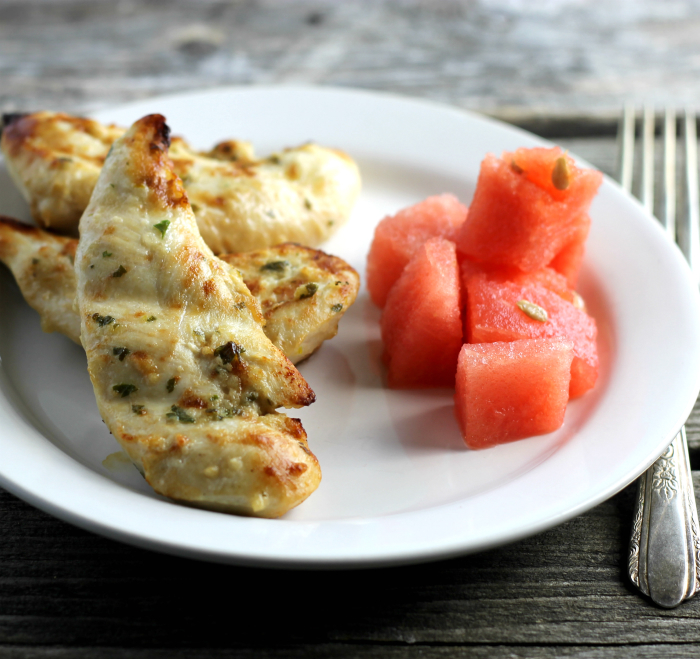 Gotta try your marinade! 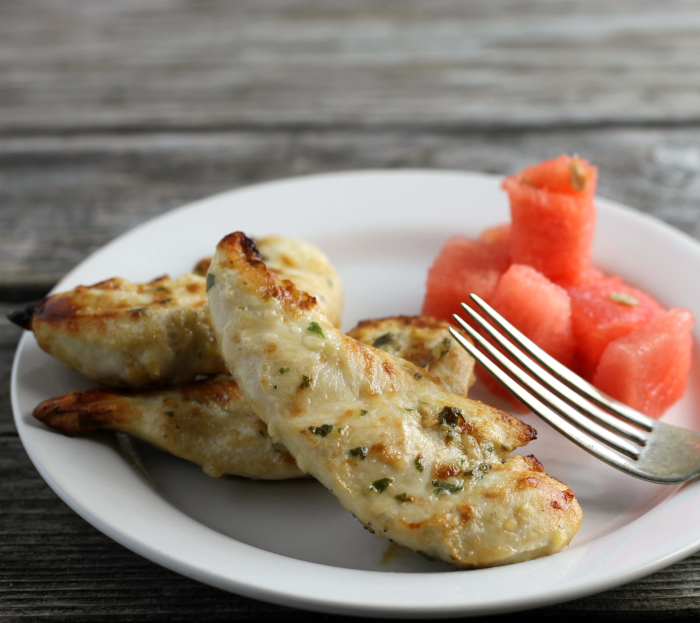 I love an easy dinner recipe—and your tenders look fabulous! There’s something about the combination of soy and lemon juice is always terrific in a marinade. Definitely trying this for a busy night!